It's been over 25 years since the Bay Area was shaken this badly: early Sunday, Northern California was hit by a 6.0 magnitude earthquake, causing power outages, small fires, and multiple injuries. 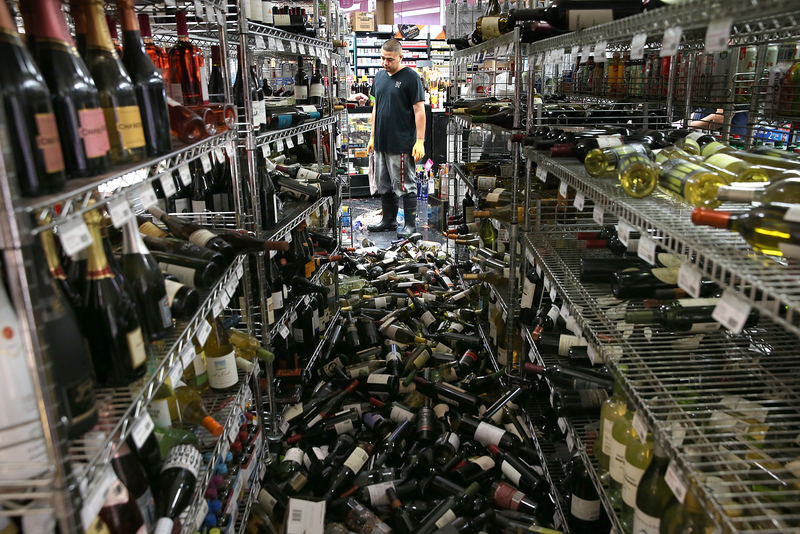 The quake's epicenter was the town of American Canyon in Napa County, and though the worst of the damages were in that area, power was reportedly cut across the Bay Area. The temblor hit Napa at roughly 3:20 a.m., with the first aftershock occurring a couple of hours later, at about 5:50 a.m — till now, 36 aftershocks have already been felt, with more apparently coming. Although the extent of the destruction is still unclear, Napa City has undoubtedly seen the worst of it: several sources are reporting damage to the city's Chinese laundry building, as well as the Old County Courthouse, and fires in at least two houses. Not only that, but water mains and gas lines in several parts of the city were ruptured, according to CBS San Francisco. The streets of downtown Napa are now littered with broken glass — most injuries, according to the L.A. Times, are cuts from these shards. "There's collapses, fires," Napa Fire Capt. Doug Bridewell told the AP. "That's the worst shaking I've ever been in." In January of this year, a much smaller earthquake — of a mere 4.4-magnitude — hit Southern California, being mostly felt in downtown L.A. But the last time the wine country was hit this badly was in 1989, when the Loma Preta — a 6.9 magnitude earthquake — struck the Bay Area.